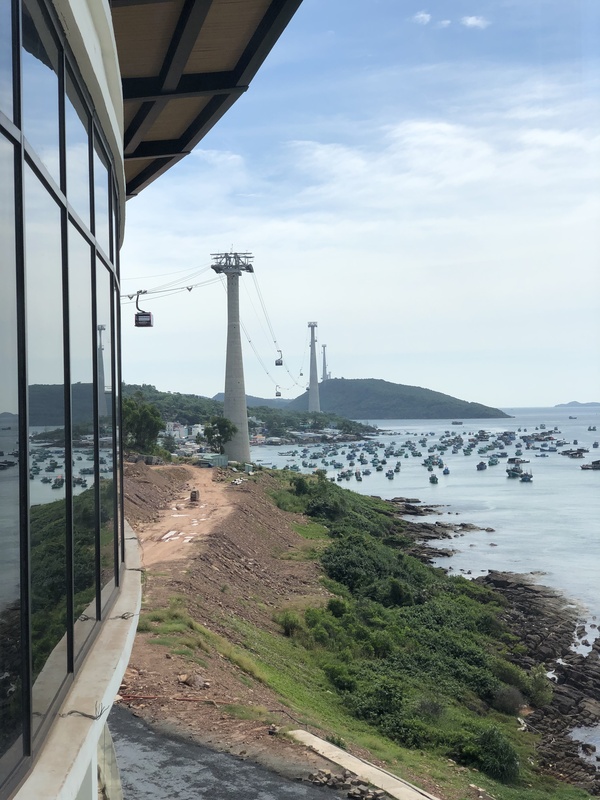 LST Ropeways’ prototype detachable chairlift in France is once again open. Despite a wild winter in Colorado, the shiny new Glenwood Gondola is tracking towards a March 16th launch. Mt. 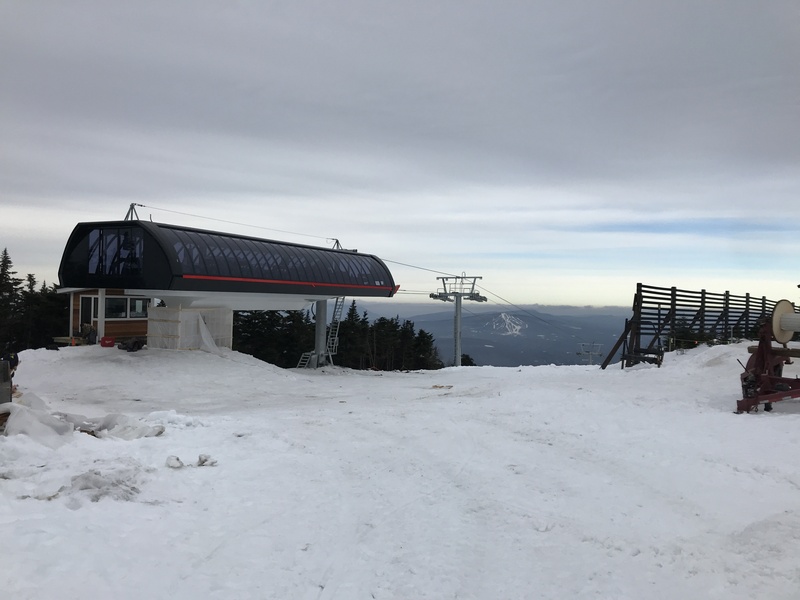 Spokane’s first new lift in four-plus decades has been spinning since December but the mountain’s nonprofit operator is still seeking donations to help pay for it. Epic Passes go on sale and a new Epic Day Pass offers Vail Resorts skiers the option to pre-buy a flexible number of days at a big discount. The Mountain Collective Pass is back for 2019-20 and, as expected, no longer includes Sun Valley or Snowbasin. Following the collective model, an Indy Pass is brewing with eleven regional resorts already signed on. Court documents suggest the Hermitage Club may file for Chapter 11 bankruptcy protection. The highly anticipated Star Wars: Galaxy’s Edge opens at Walt Disney World Resort August 29th, which would be a great date for the Skyliner to start carrying guests to it. Aspen voters approve the Lift 1 corridor project by 26 votes, but it may be a few years before a Telemix joins the Ajax lift fleet. Two years after a fatal ride accident blamed on corrosion, the Ohio State Fair is spending $116,000 to replace all the carriers on a different attraction – its chairlift. Doppelmayr is looking for workers to help build lifts across the country this summer. Vail Resorts season-to-date lift revenue is up 9.6 percent from a year ago, with skier visits increasing 7.9 percent. Attitash won’t open Summit this weekend but not for lack of trying. In California, the City of Long Beach is in the very early stages of considering a multistop gondola. For the first time in years, Black Mountain is opening its 1935 vintage J-Bar this weekend. Arapahoe Basin ends its Epic Pass partnership with Vail Resorts due to concerns about parking and crowding. A year into Ikon, Alterra Chief Marketing Officer Erik Forsell talks about the new season pass landscape. Vail takes stock at Crested Butte and may or may not build the Teo II lifts proposed by Triple Peaks. As rumored, Vail is acquiring Falls Creek and Mt. Hotham in Australia for $124 million. The Spanish ski resort that closed when a chair fell from its Yan detachable quad reopens with uploading via snowcat. The San Diego Fire Department performs a successful over water night evacuation of the Bayside Skyride at SeaWorld San Diego. Timberline Four Seasons Resort, which has struggled with lift breakdowns and other issues of late, is closed this weekend and could be placed in receivership. Snow Valley missed all of President’s weekend will remain closed indefinitely due to road damage. Mountain High is kindly honoring their season passes during the shutdown. In France, a six year old is seriously injured after her head gets stuck between a chair armrest and safety bar. As a new lawsuit against The Hermitage Club alleges fraud, club founder Jim Barnes tells members a revised reorganization plan is coming soon. 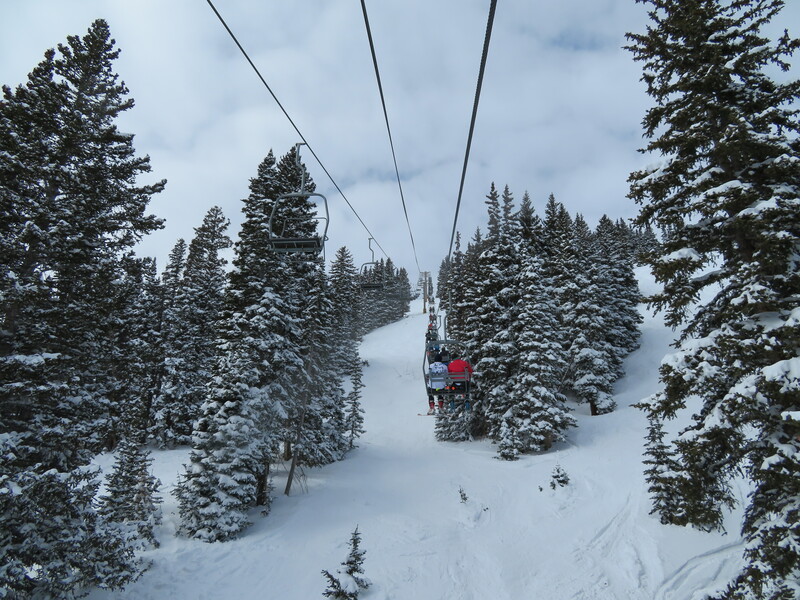 The New York Times visits the new Taos and its four new lifts. Not everyone is happy about changes at Powder Mountain. 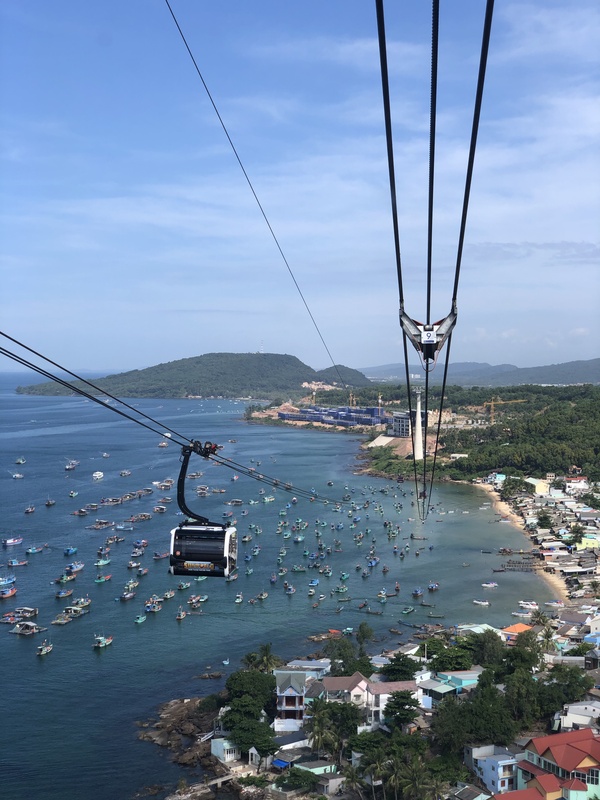 LST Ropeways is still working to repair the company’s first detachable chairlift, which missed its entire first winter, some of last winter and all of this one thus far. 49 Degrees North had a challenging weekend with one lift rope evacuated/down for the season and another losing a chair with people on it. Just weeks after declaring the Teocalli lift wouldn’t spin this season due to needed maintenance, Crested Butte Mountain Resort today announced the Riblet double will be replaced with a new fixed-grip quad next summer. Teocalli opened in 1979 and was the last operating Riblet lift at the resort. Pending Forest Service approval, the larger lift will increase capacity by more than 50 percent. The lower terminal will remain in its current location while the top station will shift closer to the Red Lady Express summit. 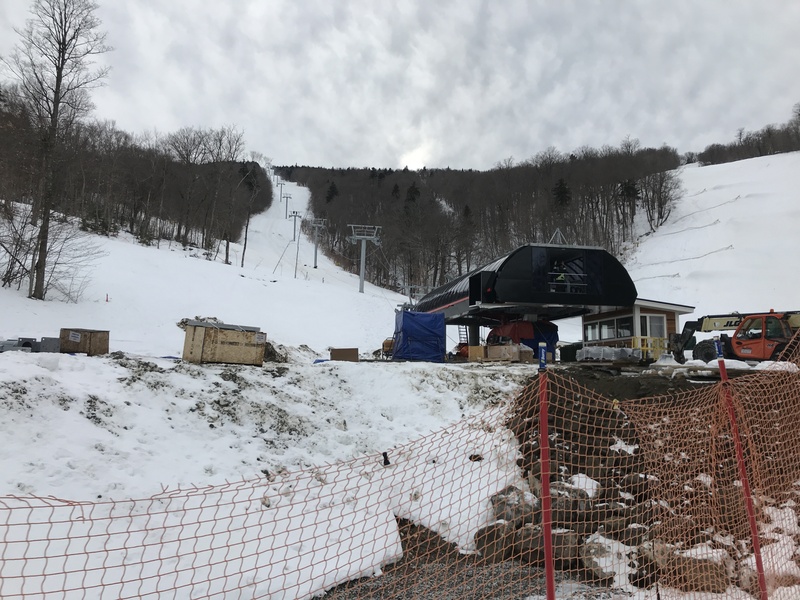 “The realignment and improved capacity of the lift will provide an elevated on-mountain experience via quick terrain access, improved egress to the resort base area and access to Uley’s Cabin – one of CBMR’s premier on mountain restaurants,” said Tim Baker, general manager of the resort in a blog post. 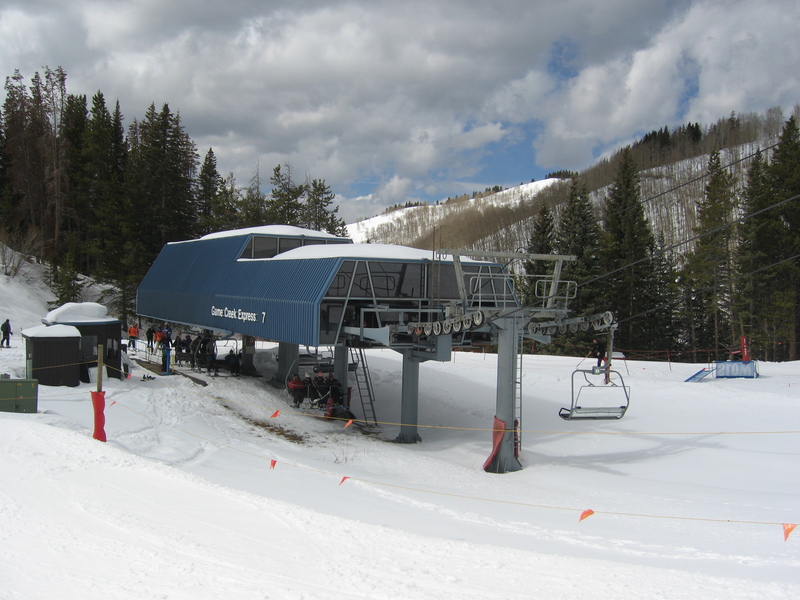 “We believe this investment can provide a significant benefit to a variety of guests in the near future, and we’ll continue to listen to feedback and evaluate other potential investments that will have a similar impact for a spectrum of guests moving forward.” Ten of Crested Butte’s eleven lifts are of Leitner-Poma lineage but no manufacturer was specified. The new lift is the third to be announced by Vail Resorts for 2019, following the company’s commitment to replace two chairlifts at Stevens Pass next summer. Both Crested Butte and Stevens were acquired by Vail last summer. Australia’s Financial Review reports Vail Resorts will acquire Falls Creek and Mt. Hotham from Merlin Entertainments for about $85 million USD. With its purchase of Deer Valley, Alterra Mountain Company now owns about half the land under Park City’s Jupiter chair. Gore Mountain evacuates the Northwoods Gondola by rope. Salt Lake City is selected to bid for another Winter Olympics. Telluride CEO Bill Jensen joins CNBC’s Squawk Box to discuss the economics behind the Epic and Ikon passes. The top shack of Anthony Lakes’ only chairlift blows over just before planned opening day. The Adventure Group of Whistler proposes building a 9,000′ gondola on Oahu. Hawaii is one of only five U.S. states currently without an aerial lift. Mt. Spokane grows by 279 acres with seven new runs and a Skytrac named Northwood. Europe’s new highest ropeway is also the pinnacle of industrial design. The Hunter North expansion and shiny Northern Express six place chairlift launch Christmas Eve. Days before the second DirectDrive detachable is set to open at Copper, Jon Mauch of Leitner-Poma answers questions about the new lifts. In France, La Plagne announces an indefinite closure of the first French-manufactured LST detachable due to technical problems. Cherry Peak is set to open a third chairlift this season after three years of construction. Shuttered Mt. Timothy, BC is purchased by investors who plan to reopen it. Vail Resorts-operated Mt. Sunapee is approved to expand into West Bowl. The Zugspitze Cable Car reopens today with a new cabin exactly 100 days after this accident. Bromont inaugurates North America’s eighth combination chair/gondola lift, L’Express du Village, Sunday morning. Check out these photos of the Snowbowl Express build and sweet new color scheme at Stratton. After spending approximately $150 million on capital improvements in 2018, Vail Resorts revealed early this morning its capital plan for 2019. First, a recap. The company went big on lifts this year, building a total of seven including the game-changing Blackcomb Gondola, Catskinner Express and Emerald 6 Express at Whistler Blackcomb, High Meadow Express at Park City and new Galaxy triple at Heavenly. 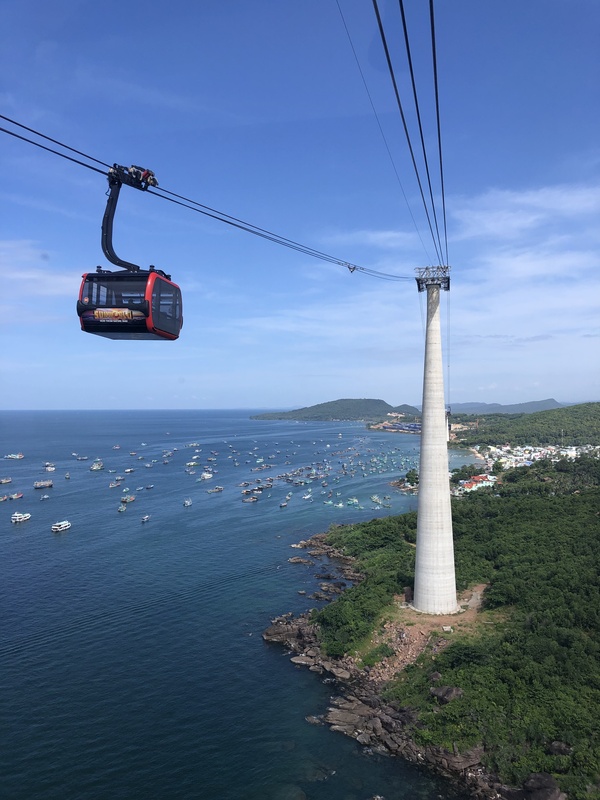 Contracts for projects in all three countries Vail operates were awarded to Doppelmayr this round. With Stevens Pass joining Vail Resorts in August and Crested Butte, Mt. 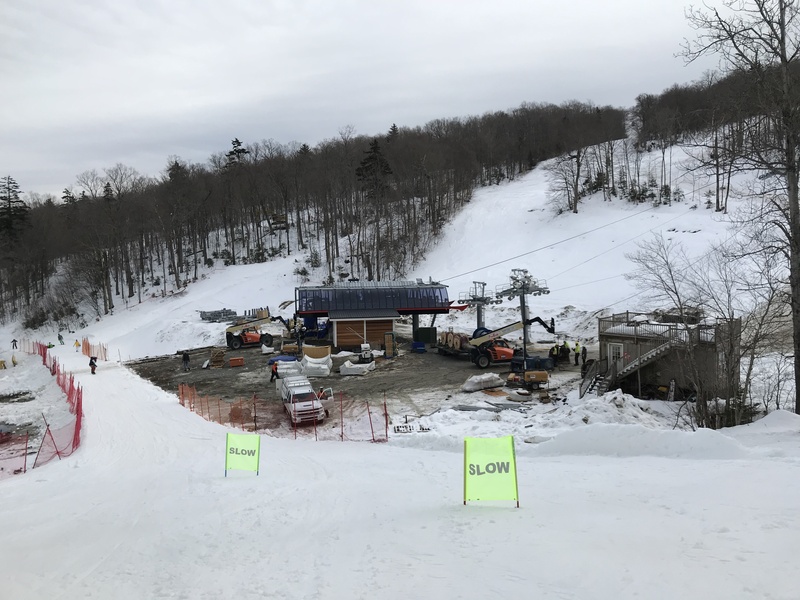 Sunapee and Okemo following in September, next year’s focus will skew towards snowmaking, ticketing infrastructure and restaurants. 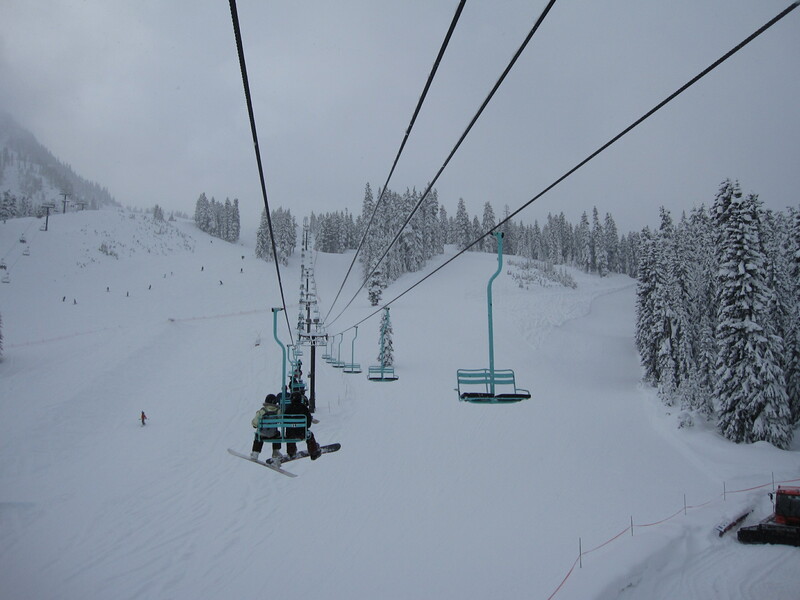 Brooks is a 1968 Riblet double at Stevens Pass that Vail Resorts will replace with a new chairlift in 2019. Vail will build two lifts at Stevens in 2019. 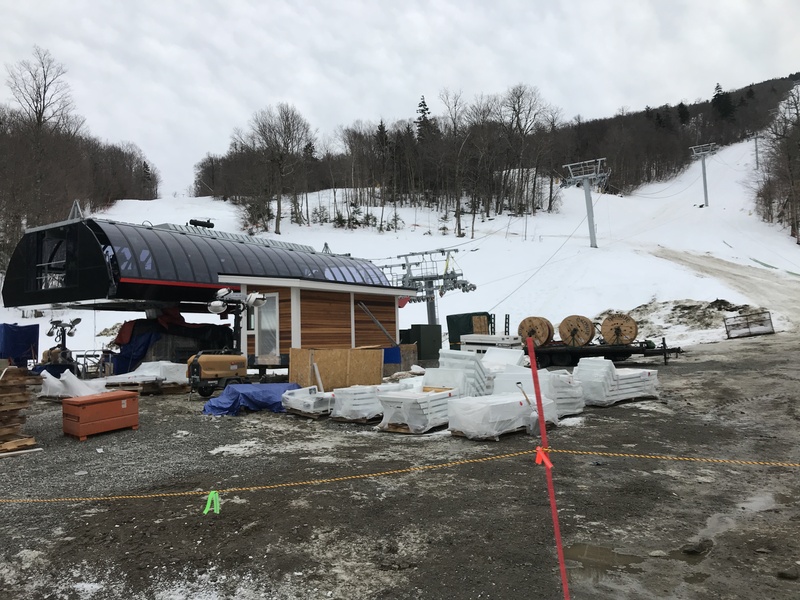 “We plan to replace and upgrade the Daisy and Brooks lifts, both of which serve critical terrain for beginner and intermediate skiers and snowboarders,” says the company. The lift replacements will reduce lift line wait times and increase total lift capacity at Stevens Pass by more than nine percent. Brooks is slated to become a high speed, detachable quad and Daisy a fixed grip quad pending Forest Service approval. Other projects include snowmaking expansions at Keystone, Vail and Beaver Creek, a new Tombstone restaurant at Park City and new skier services facility at Breckenridge. “We remain committed to reinvesting in our resorts, creating an experience of a lifetime for our guests and generating strong returns for our shareholders,” notes CEO Rob Katz. How Many Lifts Could Vail Resorts Announce Next Month? With four recent additions, Vail Resorts Inc. now operates just over 10 percent of American and Canadian lifts, more than any other company. Vail prides itself on investing heavily in its mountains and the average lift at an Epic resort is three years newer than the rest of the industry. The company’s lifts now number 305 in the United States, Canada and Australia with an average age of 24.6 years. If we assume the average lift lasts 35 years, Vail would now need to replace an average of about nine lifts per year just to turn over its fleet. 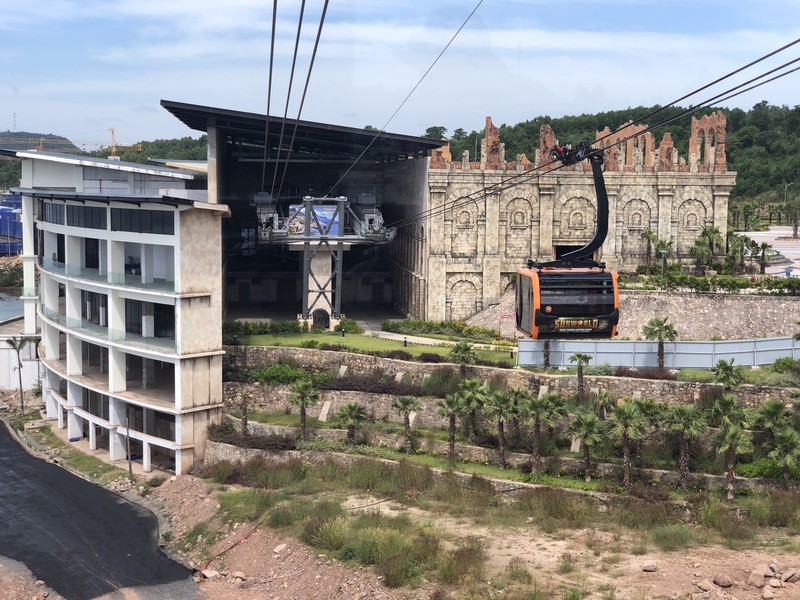 A little less than a year ago, a smaller VR unveiled plans for seven new lifts as part of a $150 million annual capital plan, the largest in the company’s history. Back in 2016, Vail committed to building three six-packs as part of $103 million in capital spending for 2017 (VR later added a fourth detachable to that year’s class, the Red Buffalo Express at Beaver Creek.) In December 2015, the Broomfield-based company announced a high-speed quad for Vail Mountain and in 2014, it was $50 million in improvements including three new lifts at Park City plus another six pack at Vail. Over the last five years, more resorts have consistently led to more revenue and more capital investments. The company said it will invest $35 million at the four new mountains in the next two years, making it possible this December’s announcement will be the most valuable ever. Going resort by resort, the most obvious projects are ones already in the pipeline, namely the Game Creek Express #7 replacement and Golden Peak race lift at Vail. But VR could go bigger like it did this summer at Whistler Blackcomb, spending $52 million to package four lift replacements together. On Vail Mountain, additional aging lifts likely to be up-gauged to six-packs eventually are Orient Express #21, Born Free Express #8 and Wildwood Express #3. The mothership mountain has the third largest and third newest lift fleet in the company and I expect investment to continue at Vail following this year’s pause. 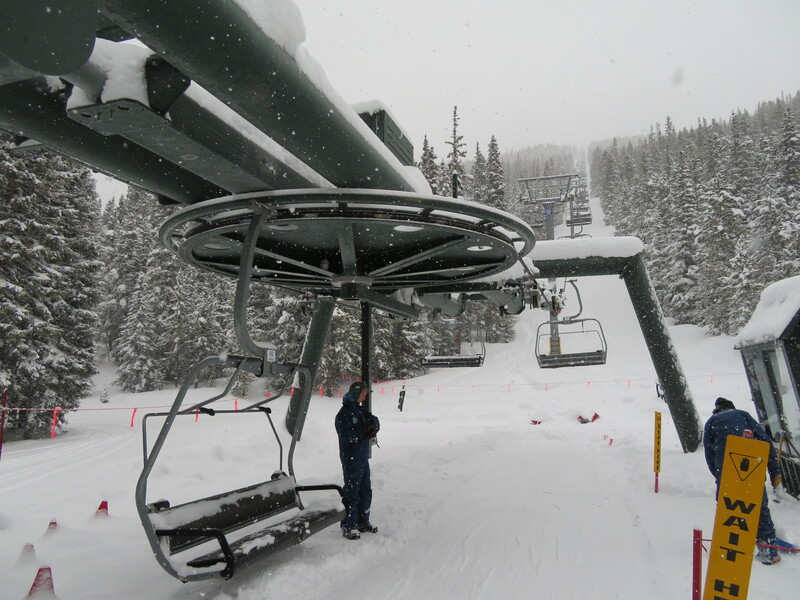 Vail’s lift 7 is the only chair in Game Creek Bowl and could use more capacity. On average, the newest lifts within Vail Resorts are at Beaver Creek, which opened decades later than its peers. A major expansion was approved in September – McCoy Park – which may be implemented in 2020. 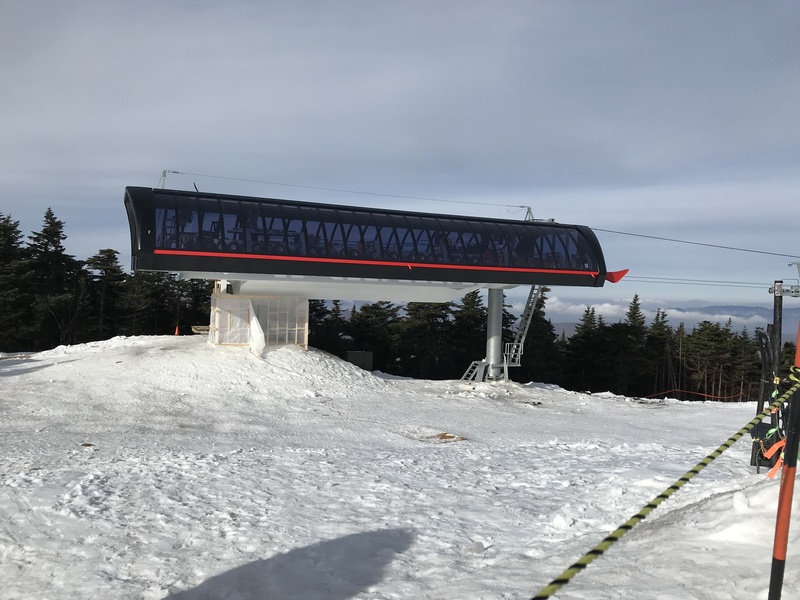 In advance of those two new lifts, the Strawberry Park Express could be updated in 2019 to a higher capacity gondola. The oldest lift at Beaver Creek is the 1988 Arrow Bahn Express, which eventually will be replaced by a newer detachable. Probably not this year though. Sticking in Colorado, Breckenridge is usually the first or second most visited resort in America and did not see a new lift in 2018. I say a Riblet gets replaced here in 2019 and my vote would be 6-Chair with a high speed quad. My second guess would be C-Chair followed by 5, A, E and Rip’s Ride. If Vail decides to continue replacing older high speed quads instead, Beaver Run SuperChair is the logical candidate. 6 Chair at Breckenridge is wildly popular despite being fixed grip and 40 years old. Keystone has both expansion possibilities and lifts that could be upgraded. The project everyone’s been clamoring for is a detachable lift from The Outback to replace Wayback. 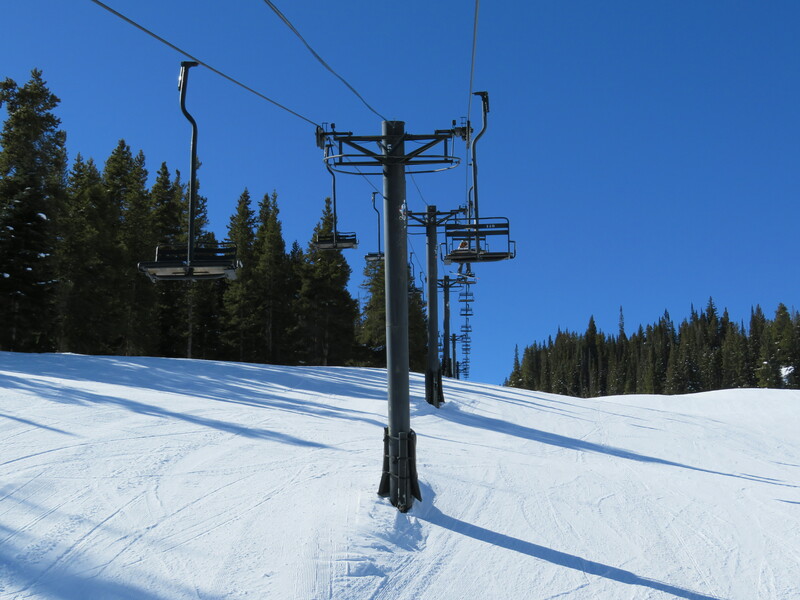 Peru Express is the oldest high speed lift at Keystone and a core workhorse, making it likely to be replaced with a six pack soon. Outback Express is one year newer and in a similar situation. Another possible replacement is Argentine, a 1977 Lift Engineering double that the 2009 Keystone Master Development Plan proposed replacing with a two stage detachable. The new lift would load near Peru, have an angle station above Lower Schoolmarm and continue all the way to the ridge of Dercum Mountain. The Keystone MDP also outlines major expansions that I expect we will hear more about over the next decade. They include a Ski Tip gondola, Bergman Bowl lift, Independence Bowl lift, Windows lift and Outback surface lift. Whatever Vail chooses, I am hopeful for a new lift or two at Keystone in 2019. I don’t mind Wayback at Keystone but I also rarely ski in Colorado on weekends or holidays. Crested Butte is the new kid on the block and Vail may wait a year or more to do anything lift wise. The mountain’s Teocalli II expansion is still moving through the Forest Service NEPA process. The Mueller family invested heavily in the Triple Peaks resorts over the years and I don’t see a whole lot needed near-term at CBMR. Replacing original Teocalli with a high speed quad would be a nice way to burn some of the promised $35 million.